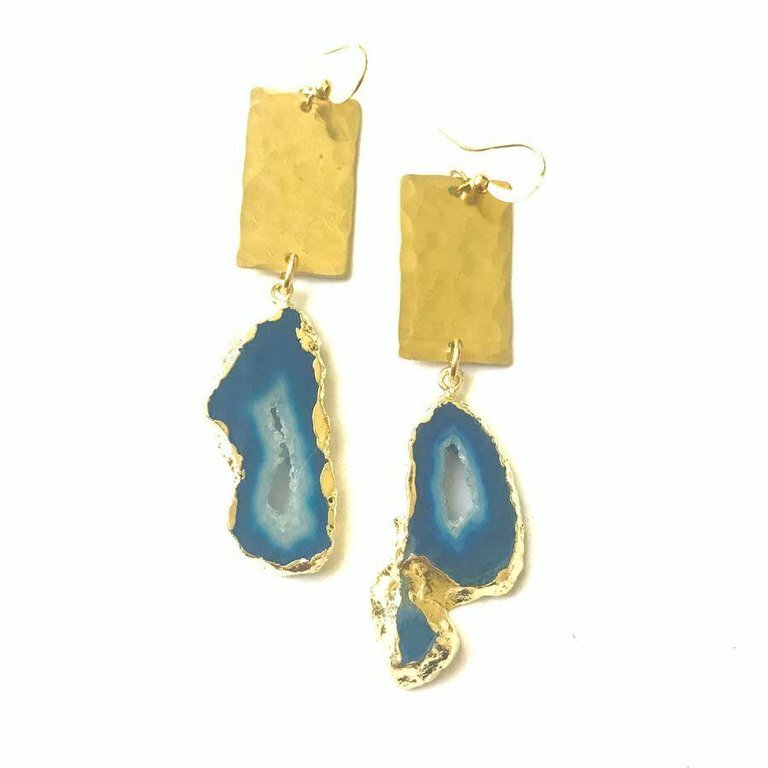 Gorgeous Blue Druzy stones hanging from a hammered brass blank. Beautiful, feminine, lightweight, fun and bold. 2 inches in size, may vary a bit due to the size of the natural stone. Perfect pairing with all your summer maxis and linens.